By making some adjustments to the words you use with your students, you can change your negative tone into the positive and encouraging language of success. I teach screenwriting and students demonstrate a wide variety of creative work in their scripts. The quality of their writing varies. (See, I’m already being tactful.) Less tactfully put, some of their writing or their ideas are just plain atrocious. When you grade student work, and I’ve found this to be particularly true when grading student writing, you should phrase your criticism tactfully. Nothing demoralizes people more than to have their creative work referred to as weak, problematic or… atrocious. Instead of using the word “problems” or “errors”, you can say “areas for improvement” — they mean the same thing, except the second one provides a sense of hope to the student that they can improve. I also allow students to rewrite and revise their work, so it’s another reminder to them that they should work to improve their writing. This is the glass is half full or half empty issue when it comes to grading. When students get test questions incorrect, your first response may be to say they lost points. A student who gets 9 points wrong on a 20 point test, may receive the dreaded -9 at the top of their test page. However, consider phrasing this in terms of how many points they received, in this example, +11 out of 20. It’s still 55% either way (likely a failing grade), yet the plus sign may soften the blow. If you aren’t concerned about the emotional impact of a minus sign, consider the more fundamental impact: addition is easier than subtraction, and seeing a positive number may get the student thinking about their overall score in the class. The positive number with its emphasis on addition will be more motivational than a negative score. Notice how the “but” in that sentence negates everything that occurs before it? It’s something I’ve long endeavored to remove from my speech and writing. Reducing the “but” in your communication is the best way to turn your criticism into the language of success instead of the language of failure. Again, “but” just negated the first positive thing you said. It also sounds like you are trying to sugar-coat the criticism, which may make your compliment seem insincere. If you want to keep it on a positive note, state the positive thing last and drop the “but”. Some simple adjustments to the words you choose as a teacher can turn your negative language into the language of success. 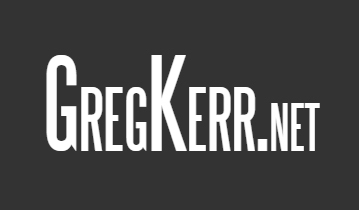 Greg Kerr is a Web design and writing instructor and faculty mentor at Portland Community College. This entry was posted in Portland Community College, Teaching Tips and tagged Greg Kerr, Portland Community College, teaching tips by Greg Kerr. Bookmark the permalink. I came across your Web site while reading the Module 1 Lecture notes for my CAS 222. I liked your explanation on why we should avoid using the word “but” when giving criticism. My format for giving criticism have always been [Something positive] but [The negative]. However, after reading this blog post, I have realized that I could avoid negating the positive part by not using “but” and replace it with different word choices such as “and”. Thanks for the valuable teachings.